Maverick Vinales is looking in top form ahead of the start of the 2017 MotoGP season. The Spaniard, who replaced Jorge Lorenzo at the factory Yamaha team, has topped the time sheets again after the three day test at Phillip Island. Vinales was one of only two riders to record a lap time in the 1:28s, with world champion Marc Marquez also breaking the barrier. However it was the former Suzuki man that won out, topping the charts on both the second and third days and finishing 0.294s clear of the Repsol Honda rider. It was a good test for Honda, as Dani Pedrosa, who missed the majority of day two due to a throat infection, finished third overall, and Cal Crutchlow was fifth. The LCR man was on form throughout the weekend, with a third place on day two and two fifth places. Rookies Jonas Folger and Alex Rins offered up some very promising performances, with Folger managing to shoot up to fourth on the final day. Rins managed to recover from a poor first day to best his Suzuki teammate Andrea Iannone, who struggled after a strong first day. The top rookie from the Sepang test, Johann Zarco, struggled in Australia, only recording a 1:29.67, putting him in fifteenth. The title this year may be a two horse race between Marquez and Vinales. Valentino Rossi only finished in the middle of the pack, 0.921s behind his teammate. 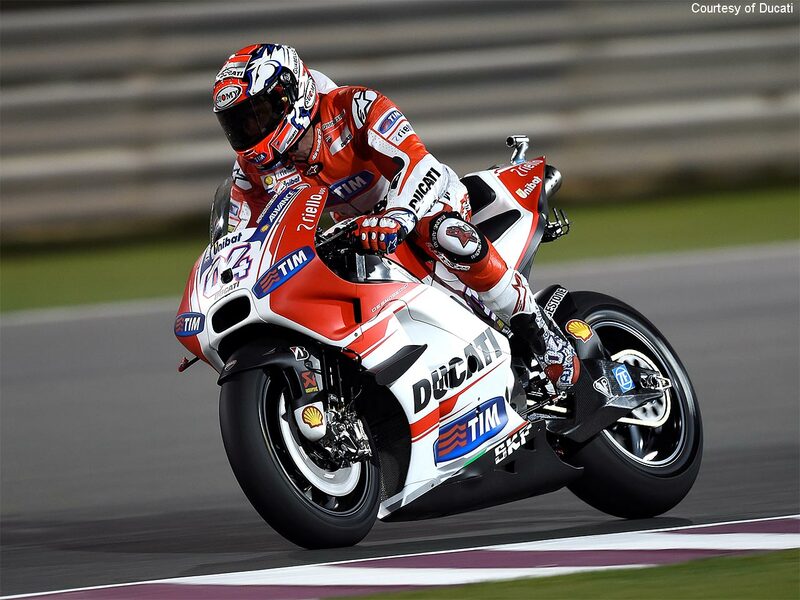 The Ducatis were improving though, as Andrea Dovizioso and Jorge Lorenzo finished seventh and eighth respectively. It was a miserable test for the other Brits, as Bradley Smith, Scott Redding and Sam Lowes occupied three of the bottom four places. Smith and Pol Espargaro both showed signs of improvement on their KTMs, finishing half a second closer to the leader than they did at Sepang. Sam Lowes also improved on his Aprilia, despite not breaking the 1 minute 30 barrier, as he was 0.3 seconds closer to Vinales. The final MotoGP test will be at Losail, Qatar, from the 10-12 March, with the season kicking off at the same track on 26 March. The first official MotoGP testing of the new year has been completed at Sepang. It was the first time that riders have been seen in their new colours for the upcoming year, and has offered a look at who will be going strong this season, as well as showing how well the rookies will adapt. Maverick Vinales was the most successful of all the riders who have moved teams. The Spaniard seemed to adapt very quickly to his new Yamaha, topping the overall testing times by 0.084 seconds. He finished in the top three on each day, before leading the standings on day three. The man that he replaced, Jorge Lorenzo, is still getting used to his new Ducati. The three time world champion had to settle for tenth, 0.2 seconds behind his team mate, Andrea Dovizioso, and a tenth behind Ducati test rider Casey Stoner. Andre Iannone enjoyed a strong showing on his Suzuki, after topping the standings on day two and finishing second overall. Alvaro Bautista also had a strong test, including a third place on day 2. Following his step up from Aprilia to the Aspar team, the Spaniard finished seventh overall, above Jorge Lorenzo. Aleix Espargaro, who has replaced Bautista at Aprilia, had a solid test, finishing in thirteenth place, 0.74 seconds off of Vinales’ time. His Brother, Pol Espargaro, and Bradley Smith have moved from the Tech 3 Yamaha team to the new KTM team. They both struggled, but for a new team in MotoGP, you can expect their results to improve as the season goes on. The double Moto2 world champion Johann Zarco had the most attention on him, but ended up with an eleventh place. The highlight of his outing on his new Tech 3 Yamaha was a fifth place on day 2. His new team mate will be Jonas Folger, and the German was unable to break the 2 minute barrier, but still recorded top ten finishes on the first two days. After finishing third in Moto2 last season, Alex Rins finished twelfth overall. The Suzuki rider also failed to finish under 2 minutes, but was only outside the top ten by 0.29 seconds. There will be another British rider in the Premier Class this season, with Sam Lowes joining Aprilia. It looks like the bike will need some improvement though, as Lowes was unable to break in the top 20, only finishing above Tito Rabat, excluding test riders. As previously mentioned, Maverick Vinales is looking like a serious contender for this year’s title. 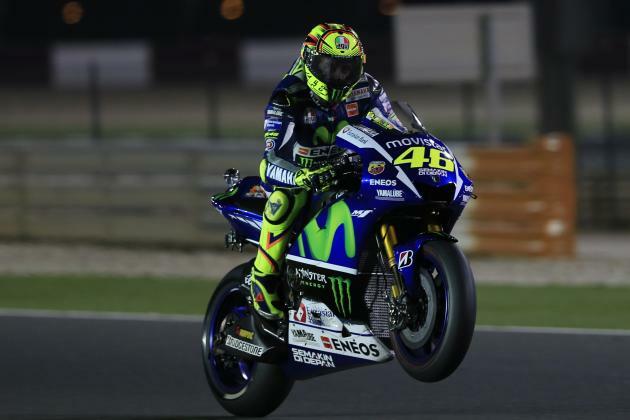 His team mate, Valentino Rossi, will no doubt be trying to prevent that as he searches for a record equalling eighth Premier Class title. Rossi finished sixth overall in testing, but his real strengths lie on a race day. The reigning world champion, Marc Marquez, is looking strong again this time around. Finishing the Sepang test 0.138 seconds behind Vinales, it is clear that the Repsol Honda rider is well in the hunt for his fourth title in five years. Honda’s chances at a Constructors’ title look good this season, as Dani Pedrosa put in a strong showing throughout testing (fifth place, 0.21 seconds from Vinales) and Cal Crutchlow came ninth, 0.36 seconds from the top. Who do you think will win the 2017 World Championship? Will there be a surprise package? Have your say in the comments below. Jorge Lorenzo will be leaving Yamaha at the end of the season having agreed to join Ducati. The reigning world champion has signed a two year deal with the Italian manufacturer, but it yet to be announced who his team mate will be. In what will possibly be the biggest decision in his career, Lorenzo will be joining a team that has not won title since 2007, and that has not even won a race since Casey Stoner’s Phillip Island victory in 2010. The Ducati’s have been going well this season, with both Andrea Dovizioso and Andrea Iannone having finished on the podium. But neither of the current riders are seen as genuine challengers for race wins, with just one premier class win between them. But it has to be questioned whether this is a good move for the Spaniard. Many riders, most notably Valentino Rossi, have struggled to get to grips with the Ducati, and it unclear whether the bike will suit his smooth riding style. However, if he is successful with his new team, Lorenzo will cement himself as one of the best riders of this generation, possibly in MotoGP history. Only Casey Stoner, Valentino Rossi, Eddie Lawson, Giacomo Agostini and Geoff Duke have won a MotoGP or 500cc world title with two different manufacturers. It will also go a long way to reduce the criticism that he has received over his 2015 title victory. Will Jorge Lorenzo be a success at Ducati? Have your say in the comments below. An enthralling battle in the opening race of the season saw an all-Italian podium, with Valentino Rossi taking the chequered flag for his 109th race victory. Ducati established themselves as a dark horse for the season with Dovizioso and Iannone completing the podium, leaving world champion Marc Marquez to settle for fifth. Dovizioso had taken pole position, but many still doubted the Ducati’s ability to last race distance. Both Repsol Hondas started poorly. Marquez was forced wide at turn one, having to play catch-up from the back, whilst Pedrosa was swallowed up by the pack in the first turn. Both Iannone and Dovizioso started strongly, split by Jorge Lorenzo. Lorenzo continued to dual with the Ducatis whilst Rossi edged his way past a bright Yonny Hernandez further down the field. The Yamaha had the pace throughout the track, but the sheer power of the Ducati meant that down the longest start/finish straight in the GP circuit, it entered turn one in the lead. As Lorenzo, Dovizioso and Iannone tripped over each other Rossi closed the gap with consistently quick times, before passing and gapping Iannone. The leading group were four seconds clear of Dani Pedrosa and Marquez, who had shaken off the challenge of Cal Crutchlow, Bradley Smith and Pol Espargaro. With five laps to go it looked as if it could have been a Yamaha one-two, but Lorenzo dropped off after being passed by Rossi. Dovizioso stuck on Rossi’s back tyre, pipping him to the line consistently despite trailing into the last corner. However the Ducati ran wide on turn one of the last lap, letting Rossi retake the lead. Rossi stretched his lead on the back side of the track, giving him enough of a lead into the last straight to hold of Dovizioso’s challenge by 0.174 seconds. Iannone pipped Lorenzo to third whilst Marquez finished ahead of his team-mate for fifth. Cal Crutchlow finished his opening race on the LCR Honda as the top Brit in seventh, whilst Hector Barbera finished as the top Open class rider in 15th. On their return to MotoGP, Suzuki finished in 11th (Aleix Espargaro) and 14th (Maverick Vinales), whilst Aprilia returned in slightly less style, with Alvaro Bautista retiring early on and Marco Melandri finishing 21st. Posted on June 11, 2013 by moody301 Tagged Aleix EspargaroCal CrutchlowMoto2MotoGPPol EspargaroreturnScott ReddingSuzukiTech 3Yamaha	CommentsNo Comments on Pol in pole for Tech 3 ride, but is he the best fit? Pol in pole for Tech 3 ride, but is he the best fit? Tech 3’s reported approach for Pol Espargaro could pave the way for Cal Crutchlow to get a ride on a factory bike. In Mugello, Valentino Rossi’s personal manager, who is involved in the possible return to MotoGP of Suzuki, hinted at the prospect of a return for the former race winners, whilst refusing to rule out the team offering a factory ride to Crutchlow. Crutchlow is likely to be looking for a new ride at the end of the season, after his Tech 3 contract expires at the end of the 2013 season, whilst team-mate Bradley Smith and factory riders Jorge Lorenzo and Valentino Rossi all have contracts until 2014. Instead of renewing the Brit’s contract, Yamaha are looking to promote a rider from Moto2, with Pol Espargaro looking the most likely candidate. Espargaro, brother of current MotoGP rider Aleix, finds himself 5th in the Moto2 championship, 47 points off the lead. After his win in Qatar, Espargaro has had a mixture of results, including a 3rd position, a 4th, a 20th and a DNF. This inconsistency, although expected from a young rider, doesn’t seem to warrant a place on the MotoGP grid. If Yamaha are looking for a rider to step up to MotoGP, it’s hard for them to look past Scott Redding, Having been tipped for a ride on a Pramac Ducati this year, only to be pipped by Ben Spies, Redding leads the Moto2 championship by 47 points, having already racked up an incredible 101 points from just 5 races, including back to back wins in France and Italy. His weight, a disadvantage on the smaller Moto2 bikes, and his aggressive riding style would be better suited to the premier class, making him well worthy of a gamble from a satellite team. The best option for the Tech 3 team though, is surely Pol’s brother, Aleix Espargaro. The Spaniard has already proved himself in MotoGP in the Aspar CRT team, finishing as the top CRT last season, in 12th place. This season, he looks a certainty to retain that crown, as he sits 10th in the championship, above prototype riders Bradley Smith and Andrea Iannone. Whoever gets the Tech 3 ride though, the return of Suzuki would be a welcome one, adding yet more competition for a place on the podium, and sets up a tantalising season to come.